Are turbo trainers worth it? Let's see. 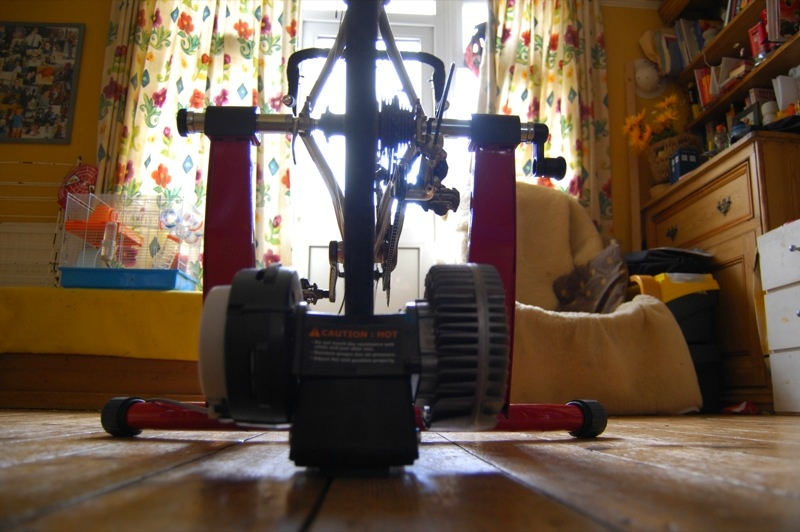 A turbo trainer is one of those cycling training aids that cyclists love to hate but often begrudgingly use. They usually don’t come cheap. If you’re looking into buying one, make sure you complete your due diligence before making the investment. If you're looking for a trainer and haven't got time to read the guide check out the Jetblack Z1. It's a more expensive, but if you're looking for a great turbo you can't go wrong with this. What is a turbo trainer? A turbo trainer is something fastened onto the back wheel that simulates the resistances a cyclist would feel while out on the road. It keeps the bike in place and has the added benefit of allowing the cyclist to stay indoors, if he so wishes. This is also its biggest drawback. You never go anywhere. Why use a turbo ﻿trainer﻿? I prefer the outdoors when cycling. Looking at the scenery, exploring new routes to and from my favourite places and feeling the wind on my back all appeal to me. Most cyclists feel the same way. Sometimes the wind can be too strong for a great ride. The weather can turn harsh, storms can hit hard and if you live up north the days can become much shorter. Often, particularly in the inner city, traffic can be a pain, and you can find yourself stopping and starting even when cycling. These latter conditions are much of the reason anyone considers using a turbo trainer. It doesn’t replace a morning commute to work, but it does allow you to continue your training when bad weather otherwise prevents it. It also allows you to target specific weaknesses. Related Post A Crank Brothers M17 Or M19 Review: Which One Is Better? If you know your cycling sprint speed is weak then practising outdoors is not always the best or easiest option. Sure, if you have a track nearby that’s great, but if you don’t own a car and live across town, then all kinds of things can interfere with your plans. A pedestrian who just happens to take a stroll down the trail you want to use for sprint training can foil the best of plans. 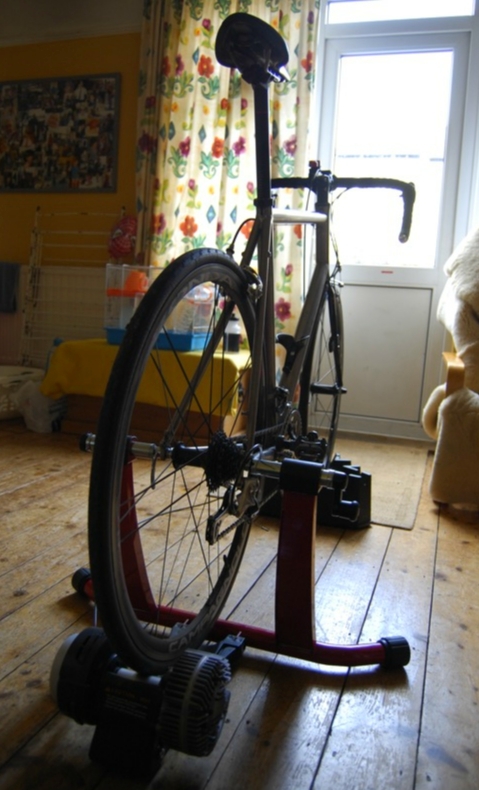 A turbo trainer allows you to warm up in the safety of your home, then practice sprints to your heart’s content. There will be no well-meaning pedestrians or drivers to cross your path. You control it all. This then, is the turbo trainers biggest strength and if you’re going to use one you should plan your sessions accordingly. Figure out what you want to work on, plan in a warm up and then work on that weakness. Take advantage of it, particularly on days that make it difficult to cycle anywhere. Every cyclist should make their own decision, but turbo trainers are expensive. They can cost anywhere from $100 to $900. That’s not pocket change. If you don’t know what you’re doing, you can damage the back wheel of your bicycle. Don’t assume you know hot to fit the turbo trainer (like I did), take the time to read through the instructions, watch a youtube video and place the turbo trainer correctly. You will be glad you did and so will your bike. Turbo trainers can teach bad habits if you let them. One example is changing gears. Many people on a turbo trainer have a tendency to just pedal faster or harder when looking to go pick up speed. If they were outside they would change gears. Remember, you’re still simulating an outside ride so act accordingly. Turbo trainers work best with slick or road tyres. (or you can buy turbo specific tyre﻿s). It’s not to say they don’t work with others but it is more difficult and makes for an often wobbly or inconsistent ride and training session. If you own a mountain bike, you’ll want to swap your tyres out if you haven’t already fitted slicks. There are several different types of turbo trainers, so you need to make the right choice when selecting one. The magnetic, fluid, virtual reality, direct drive and air are the most common. 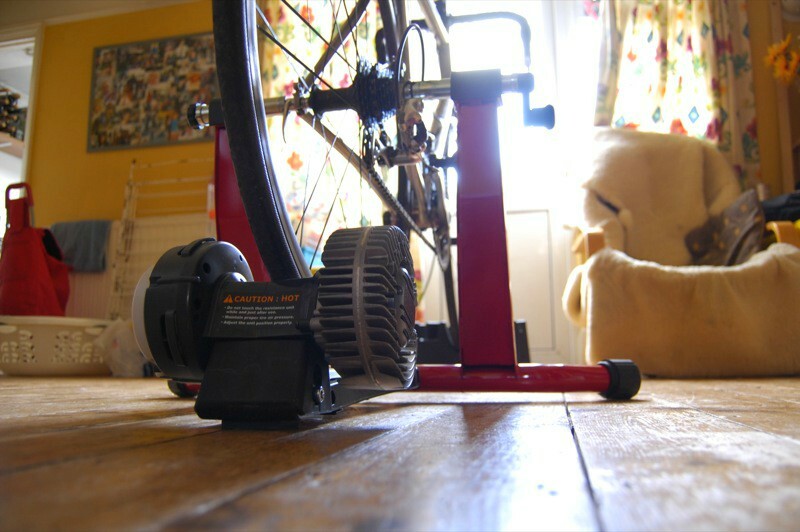 The ﻿﻿magnetic turbo trainer uses magnetic fields and often has a trigger switch to change resistance. This trigger switch can usually be mounted on your handlebars. The fluid turbo trainer offers a more continuous resistance and isn’t as choppy as a magnetic resistance which relies on you using a trigger. Fluid trainers are usually connected to your gears, which holds the additional benefit of making sure you don’t form the bad habit of not using them. When using a direct drive turbo trainer, you take your wheel off the bike and then mount your rear drops onto it. It’s more direct, hence the name. This also makes for a smoother ride. Virtual reality is like the name suggests. You set up the trainer and connect it to your computer. Real tracks and inclines can be simulated using this and riders often set up a laptop and stand in front of them, so they view the screen directly ahead. Lastly, let’s look at the air turbo trainer. These are quickly falling out of style. Mainly because they’re so loud. Resistance is still controlled by changing gears, but because it's caused by spinning blades it just makes a really obnoxious noise. To a cyclist who is really focussing on improving specific aspects of their cycling ability, then they probably are. There’s a reason world champion cyclists say they are useful. If you also live in an area with plenty of bad weather, it may be worth the investment to someone who wants to stay in shape and stay on their bike. To the rest who wish to stay outside, live in a warmer climate or cycle as a hobby then it is probably not a worthwhile investment. There are other upgrades that can be made to your bike, such as better tyres, pedals, and frames. Take stock of your own situation and decide according to your own lifestyle. How To Make A Frame Bag: Feeling Creative?